The Jamboree has ended and it was good! 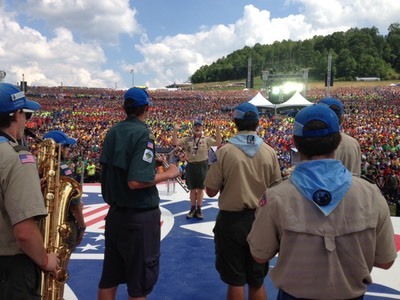 Scouts made good music and entertained thousands. This site will be updated as information becomes available. The Jamboree Band will be an integral part of the 2017 National Scout Jamboree and you can be a member. 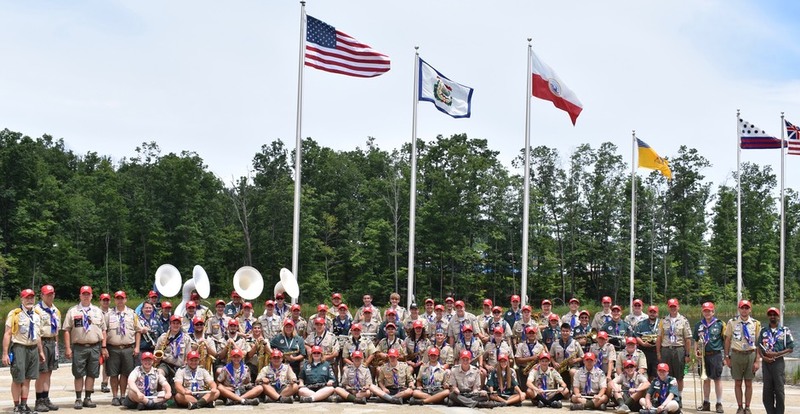 75 Scout musicians from across America… will supply music for ceremonies, events, concerts, arena shows and entertain many thousands of scouts and visitors to National Jamboree. Repertoire includes popular and patriotic music, marches, and pep band tunes. Musicians who can double on set, guitar, bass and keyboard are needed for a 16 piece jazz band and a Tower of Power style group. 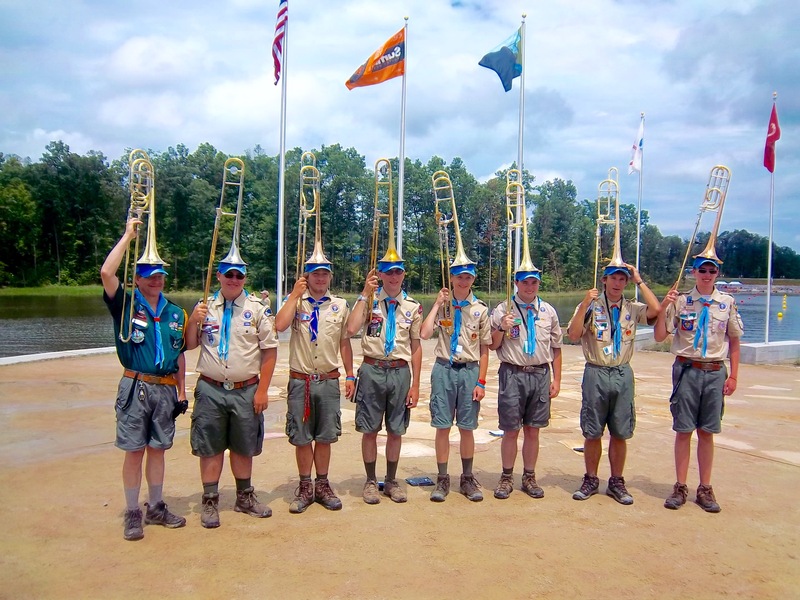 The band will be made up of all registered scouts male or female, venture scouts and scouters. Adults may apply however initial preference will go to Scouts ages 16 - 25. Band members will be accepted according to ability and instrumentation based on the director recommendation. There are no auditions. Get your application started today! There is talk of a staff band at the 2019 World Jamboree being held at the Summit. Information will be posted here if there will be a Jamboree band. Email George.Pinchock@villanova.edu to add your name to the interest list. We’ll contact you when information is available.